Today almost every people using smart phone, but sometimes it’s become untimely to taking out phone out of pockets or purse. Sometimes you are missing some important calls & messages because you could not here. Now Smart watch helps to reduce this problem, you will get all notification on your wearable watch. Here you will get list of top 5 smart watches available today, you can select any one for you. Samsung Galaxy Gear is such a fantastic gadget. Almost everything is possible through this amazing device like Email notification, text message, app notification, photography etc. You have to connect Gear & smartphone via blue tooth with each other so you will get buzz if you left your phone anywhere. Its only working with Samsung devices. It is best smart watch for those people who like to wear designer accessories. This designer watch has so many great features; it is connected for both iOS & Android. After connect your watch with Smart phone you will get all notifications of incoming calls, text messages etc. It allows to access camera remotely. LG has mixed the Smart watch and fitness band to gather. It is compatible with both Android & iOS devices. Through this Life Band you can send recorded fitness data in all G’s Fitness application. Battery life of this device is 5 days and has a splash proof design. It is not just developed for fitness purpose but you can use it regularly to get miss calls alert, text message alert & Email alert. You just have to connect your smart phone and Life band via Bluetooth. It is compatible with Android version 4.0 and above. Most amazing feature of this gadget is , it is dust proof and it will last up to 30 minutes in water. It has a 1.6-inch LCD display and it will works for 3 days on single charge. It’s affordable for everyone. It is working for both Android and iOS devices and has a conventional LCD display, its battery lasts for whole week. New design is available in stainless or Black Matte. It has a LED which indicates you about charging status. Get notifications of Email, incoming call, text messages like other smart watch. 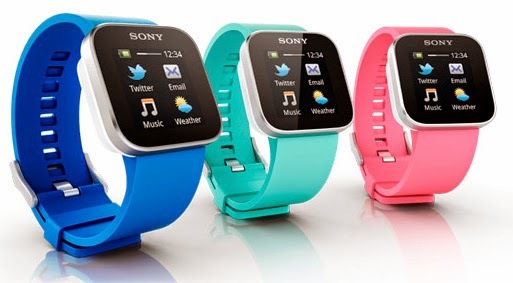 Thus you will know about top 5 latest Smart Watch here in this blog. You can select anyone from listed above and get relieved from taking out phone frequently and it is more conventional when you driving, at office when you are busy in your work and no time to check your phone. Try this smart gadget and be smarter.